This review is a bit belated, but my dawdling is not meant to be a reflection on my reading material. “The Great War,” edited by Robert Cowley, is an excellent book. Its essays cross the war from start to finish, touching on various topics that will be more or less interesting to you — I read the pieces on Sgt. York and Kathe Kollwitz, by John Bowers and Cowley, respectively, nodding my head, yes, yes, yes. You might read the chapter on the naval war nodding your head and be astonished by York’s adventures and their aftermath. There is something for everyone to learn here. I was most intrigued by Cowley’s discussion of the Massacre of the Innocents. You remember them, right? 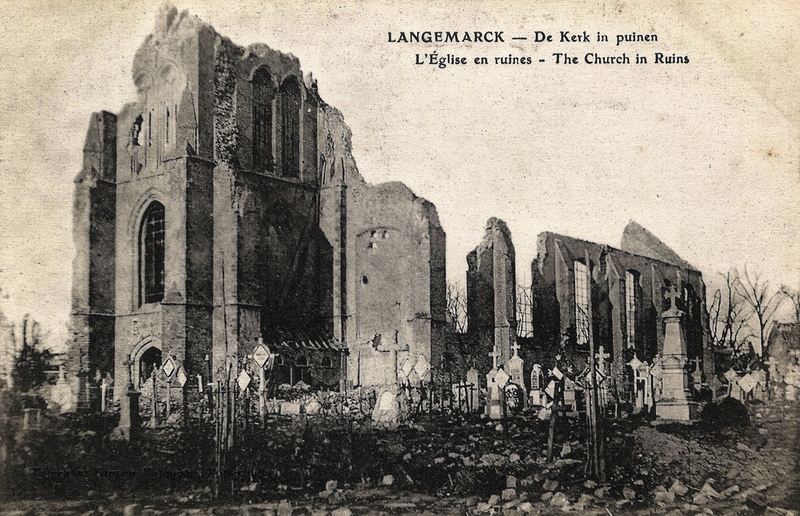 The German college students who marched into the fray near the Belgian village of Langemark, singing “Deutschland, Deutschland uber alles,” and were cut down like daisies (but not before afflicting heavy losses on the heartless French)? Hitler loved the story, as an illustration of how evil the French were. But, Cowley says, it was just a story. It’s true that Germany threw thousands of green troops, poorly trained and equipped, into the First Battle of Ypres. First Ypres was a disaster: Germany lost 80,000 to 100,000 men between mid-October and mid-November. But less than 20% of them were students, Cowley says, and they didn’t sing as they died. It was just a myth, when the country most needed one to bolster another, larger myth: The war was winnable and Germany would win it. 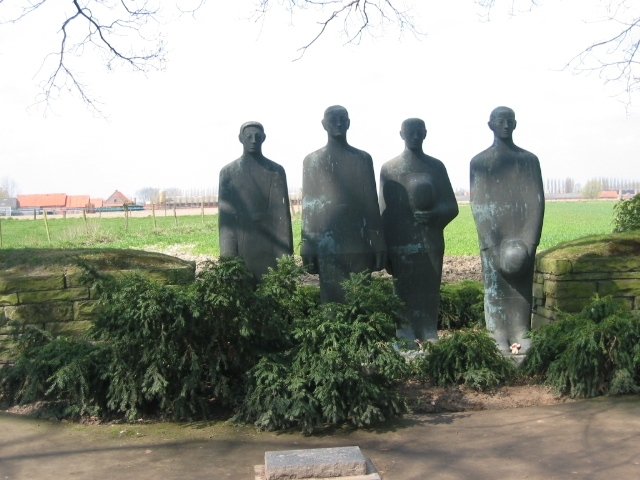 And this is a contemporary photo, from the Langemark German Military Cemetery. Last night on “Downton Abbey,” a soldier turned up from Princess Patricia’s Canadian Light Infantry. The PPCLI — named for the daughter of Canada’s Governor General and known as the Patricias — was an independent regiment formed in Montreal in 1914. 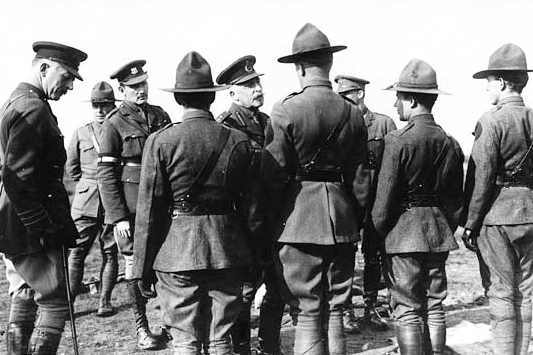 It was the first Canadian infantry unit to reach France, in December. In May 1915, the regiment held trenches on Bellewaerde Ridge for four days under intense shelling and fought off multiple German attacks with rifle fire. Their machine guns were knocked out, and they eventually ran out of ammunition, but not before the Germans had withdrawn. The regiment suffered 80% casualties. They had their backs to Ypres, and they held the line. 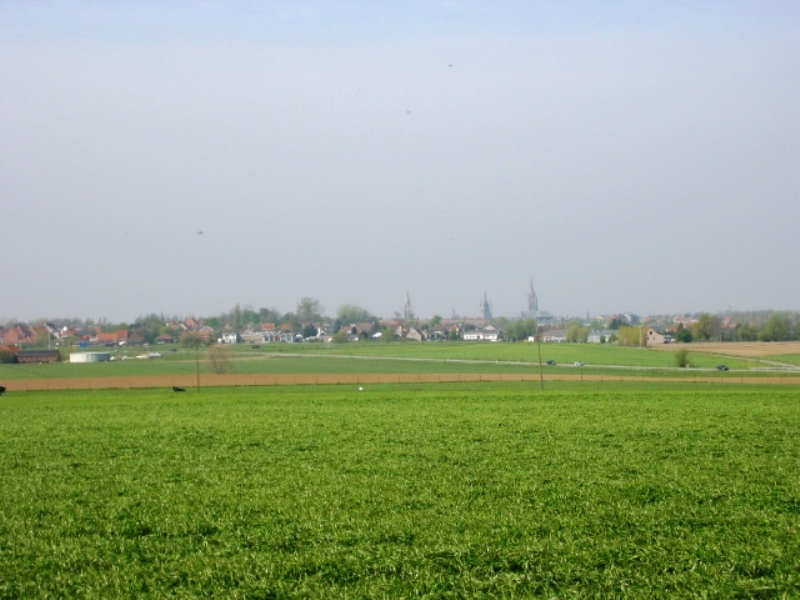 From the Bellewaerde Ridge, looking down toward Ypres. Here’s a link with a blow-by-blow account of the Patricias in action. 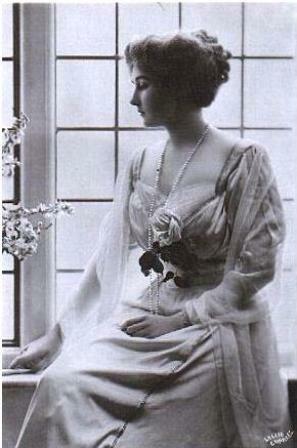 Princess Patricia’s father, Prince Arthur, Duke of Connaught, served as Canada’s Governor General from 1911 to 1916. Here he is talking with four American soldiers.